As Chicago’s mid-market law firms strive to build their presence and compete with global law firms active in the city, Quarles & Brady has taken a decisive step with the appointment of a new Chicago managing partner. Paul Langer (pictured), who has been at Quarles for roughly 18 months, replaces Theodore Yi, who acted as Chicago managing partner for five years. 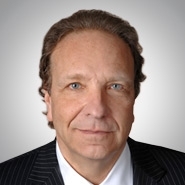 Langer, a commercial litigator and insurance specialist, is a veteran of large law firms. He joined Quarles from Proskauer, whose Chicago office he helped establish in 2008 following a tenure at Mayer Brown. He has also practiced law at McDermott Will & Emery. Langer takes the helm of a fast-expanding Quarles office with 100 lawyers, up from 70 in 2010. The Chicago office has made high-level hires in the past few weeks including Robert Stracks, a former in-house counsel at Bank of Montreal, who joined Quarles as of counsel.